Adrenocortical Cancer is a rare cancer that forms in the outer layer of tissue of the adrenal gland (a small organ on top of each kidney that makes steroid hormones, adrenaline, and noradrenaline to control heart rate, blood pressure, and other body functions). Also called cancer of the adrenal cortex. An international team of scientists, including those at the Translational Genomic Research Institute (TGen), have discovered new avenues of potential treatments for a rare and deadly cancer known as Adrenocortical Carcinoma, or ACC. 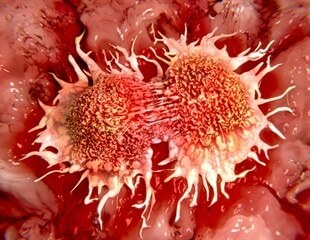 Adrenocortical cancer is an uncommon form of cancer that is often fatal. For the first time, a large-scale randomized treatment study has now been carried out. The study is being published in the prestigious New England Journal of Medicine and constitutes an important and long-awaited platform for continued research. At the ends of chromosome are special pieces of DNA called telomeres. Think of it as the little tip that caps off a shoelace. The telomeres send signals to the cells to let them know it's the end point, not a break that should be repaired.